Congrats! This project has reached its minimum needed of £500 and is going for its target of £5,500! We are the Reading University Sailing and Windsurfing Club (or RUSWC) and are celebrating our 70th anniversary in 2019! We are very proud to be one of the oldest sports clubs at the university and to celebrate this exciting occasion, are hoping to raise some money to put towards a new (to us) fleet of boats so that we can continue to run sailing for years to come. RUSWC, or RUSC as it was known until recently, was established in 1949 and has moved between different sailing locations over the years. There is a short history entitled ‘The Dreadnought Days’ written by ex-member Laurie Jones. Laurie writes about the club’s roots and we are especially proud that even back in the 50s RUSC had a strong female membership, which was then rare in the sailing world. Today RUSWC has a strong community at its core, enjoying life at university whether at the sailing club (Burghfield) or on campus. We welcome members from all over the world, with all levels of abilities and experience. Your support will help us continue to thrive and ensure these values are carried on for years to come. If you are interested in reading the full history; please feel free to contact the current commodore at uorsailingwindsurfing@gmail.com. As some of our alumni members will fondly remember, at the club we sail fireflies, the boat of choice for university team racing. The boats that we own are getting on for 35 years old now, and have a tendency to sink every time they are taken on the water! This is definitely not ideal when we are trying to train in order to compete on the national university racing circuit. As the committee of the club in its 70th year, we would love to secure some younger boats for our members to enjoy for the years to come. 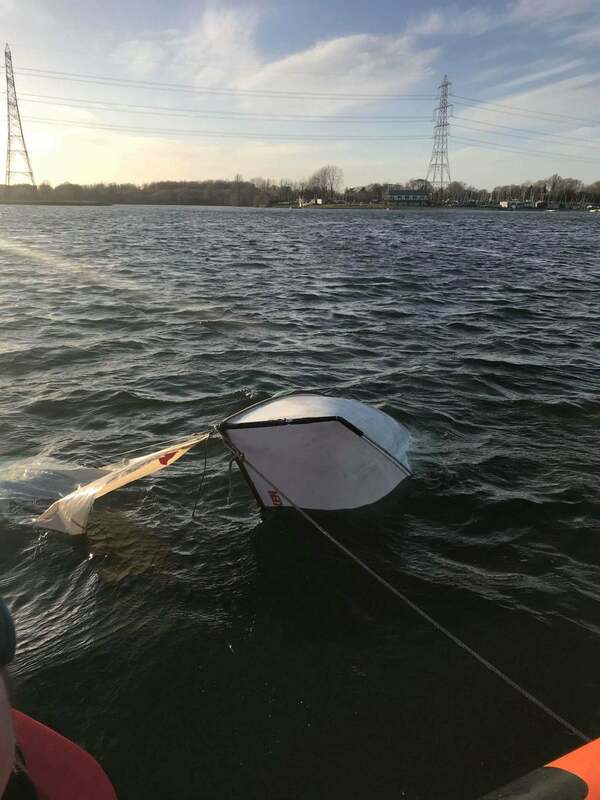 By pledging your support, we will be able to purchase some new boats which would enable the club to get out on the water more frequently and in a safer environment and allow for our members to go for casual sails as well as to train. £10 - A social media shout out! We love our social media channels here at RUSWC! We will do a post to thank you over our social media streams. Make sure you are following us on Instagram, @uor_sailing, and on Facebook, Reading University Sailing & Windsurfing Club. £25 - We will send you a pair of RUSWC branded sunglasses right in time for the summer! £1,000 - We understand this is a large amount of money so we would like to say a huge thank you by allowing you to name one of our new boats as well as to join us on for a social sailing session and meet the sailors that will benefit from your donation. At present our boats require plenty of age-related repairs, both before and after any sailing sessions; which takes up most of our available time . We want our members to continue taking part in the sport that we love, as well as encouraging new members to learn and develop their skills. We are aiming to raise £5,500 towards boats, a good quality second-hand flight can be bought for around £1,000 per boat. If we raise extra money it will likely be spent on additional boat parts that we currently struggle to afford, such as; replacement trolley wheels, shackles or ropes. A flight is likely to come with sets of both full rig sails as well as cut-downs; along with launching trolleys, and all other spars and rigging. Any amount you give will make all the difference to our members so thank you! The committee of Reading University Sailing and Windsurfing Club would like thank you for your interest in our project. We would like to say an extra special thanks for the generosity of those who are able to support the future of our club. You can also support our project by sharing our project with anyone who might be interested in supporting us too; the more people that know about our project the better! A social media shout out! We will do a post to thank you over our social media streams. We will send you a pair of RUSWC branded sunglasses right in time for the summer! You and a friend will have the opportunity to join us for a barbecue and casual sail in the summer, allowing you to get to know us a bit better and us the opportunity to thank you in person. For donors who donate £1000 or more, we are giving the option to name one of the new boats, either after yourself, or another name of your choosing.